From EMC to Product Safety, from Radio Frequency to Compliance and Environmental Design, we can help manufacturers get the training your design and testing engineers and technicians need. The WL Academy specializes in comprehensive seminars and workshops that combine practical real-world engineering insights and solutions for today’s engineering challenges. Taught by experienced engineers, WL Academy Seminars feature two to five day courses in compliance design, engineering, testing and measurement subjects. WL Academy’s free workshops provide snapshot training days for current design and testing challenges. We also feature ancillary courses from nationally recognized partners in the electronics testing industry. Let us help your company ease your journey to product compliance. The WL Academy has a slate of national training courses geared to meeting the demands of today’s progressive electronics designs and the needs of the professional engineers who must bring them to market on time and on budget. From the complex military systems to the state of the art ITE, from crucial medical and ever-changing wireless, from unique RF to telecommunications equipment our training suite of courses will help these industry engineers gain the practical training they need in an easy to learn environment. WL Academy instructors are engineers themselves in challenging, fast-paced manufacturing and service industries – they get it. 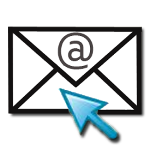 Receive email notifications on upcoming webinars, training courses, seminars, workshops and industry updates.